Faster, flexible, and visual way to manage wedding guests. Unlimited share account login with family or wedding helpers, all data is synced in realtime so all users can track the overall progress. 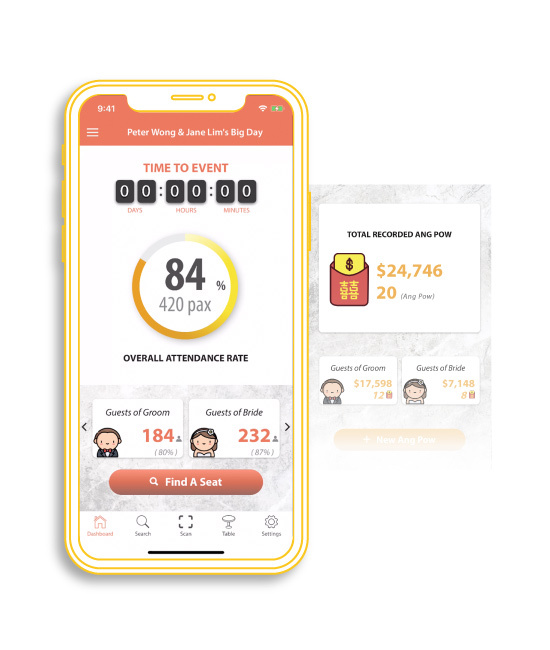 Visualise massive wedding guest data, live guest check in statistics, and recorded Ang Pow amount for your better understanding and guest management. thebigday Wedding Management enables you to gain greater guest attendance insights from table view. You are able to know which table is full and which is empty at a glance. Dive into the details of guest data from different perspective, view how many attended guests of groom, which guest is not yet attended in guest category of bride’s colleagues, and how many vegetarian guests have arrived. Where can I view all guest attendance status? How to generate & send guest QR code? 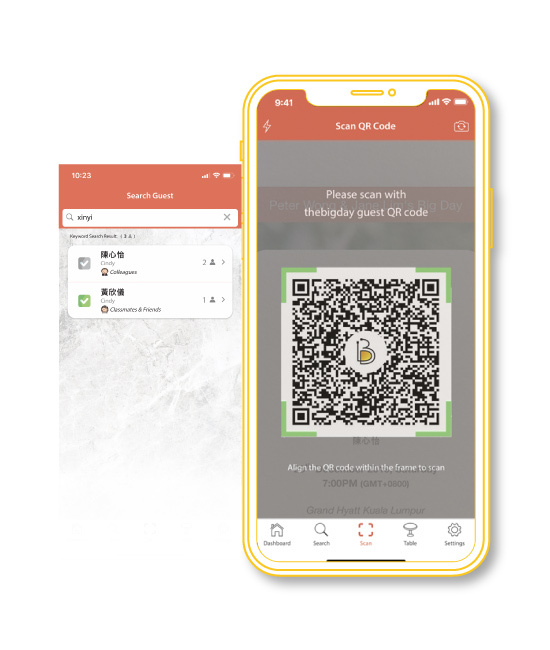 In terms of improving your wedding guest experience, thebigday speed up guest check in by using scan QR code check in and guest name check in. Generate and send unique guest QR code to wedding guest in app via your social media. Wedding guest just simply present their guest QR code as an invitation for helpers to scan QR code check in with thebigday wedding guest management. Worry about elderly guest who are not familiar with scan QR code? Our smart keyword & pinyin guest name search can help! Just search with guest name keyword like search function in your mobile contact list. How to faster check in wedding guest? 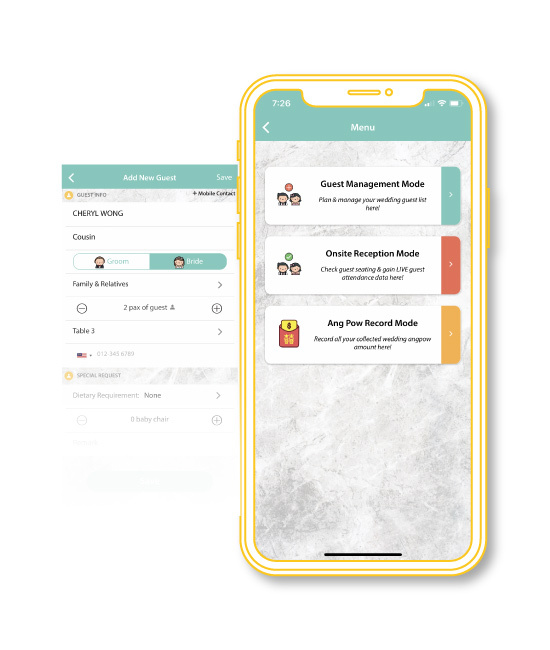 thebigday wedding guest management is able to auto live sync between multiple devices which enable you to share the latest wedding guest information with your family and helpers without any manual work. 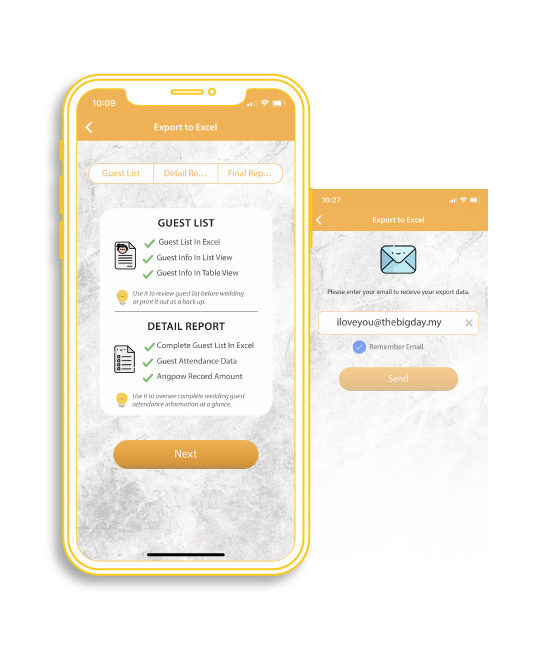 It’s easier to update your wedding guest list, all changes on guest list will be live sync with your family and wedding helpers mobile devices. No more massive manual job on guest list update. How to monitor live sync guest check in status in table view? 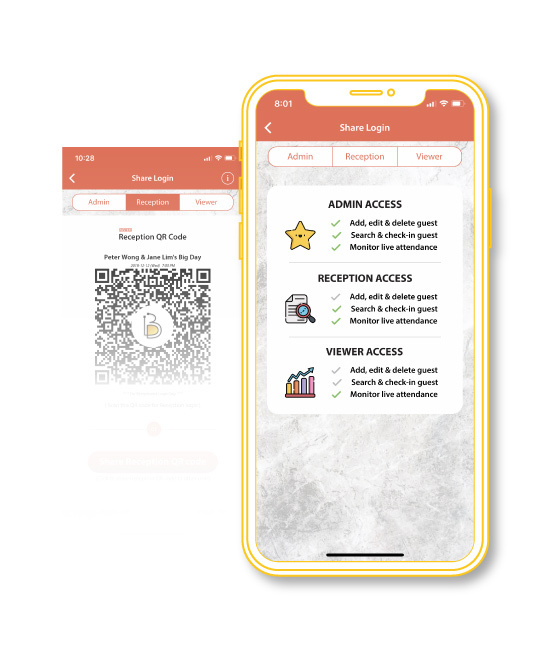 How To Scan QR Code Check In? It’s super fast and efficient way to check-in your wedding guest by simply scan their guest QR code. Now you don’t need to check on the paper guest list with hundred over guest name anymore. Just relax and chill! 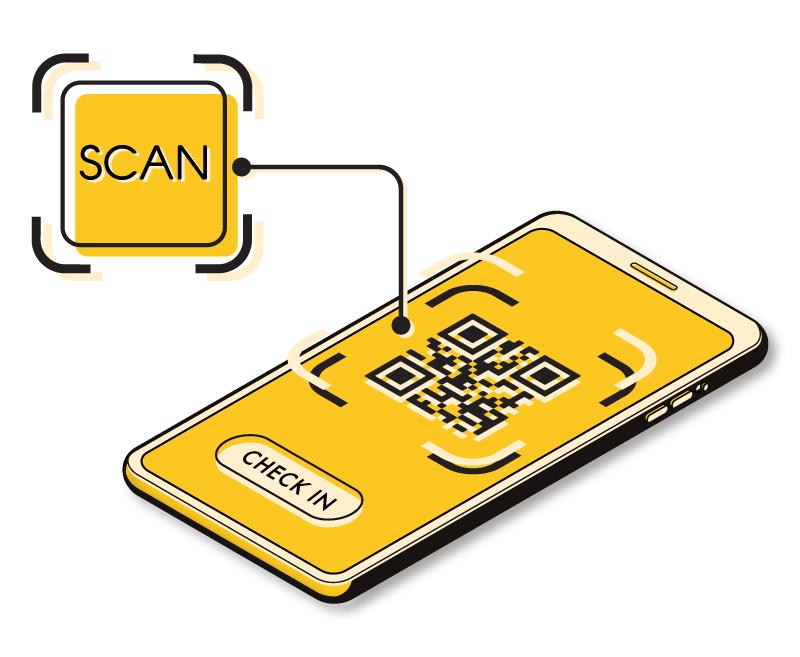 How scan QR code check in work? thebigday understand that you have a fantastic team of wedding helpers who are always back you up. Thus, we decided not to limit the number of login devices, you can share account login as many as you want, so that your helpers can use it to assist faster check in on your wedding day. There are 3 different user roles when you share account login. Each role has different types of access to account, you can assign different role to your family and helpers. How to share account login with my family and wedding helper? Need a paper guest list for elderly family member to review? Want to review your guest attendance and Ang Pow record statistics? No worries, it’s super easy! You can export guest list in thebigday wedding guest management anytime by enter your email address, system will auto generate and send the guest list to you in excel format. 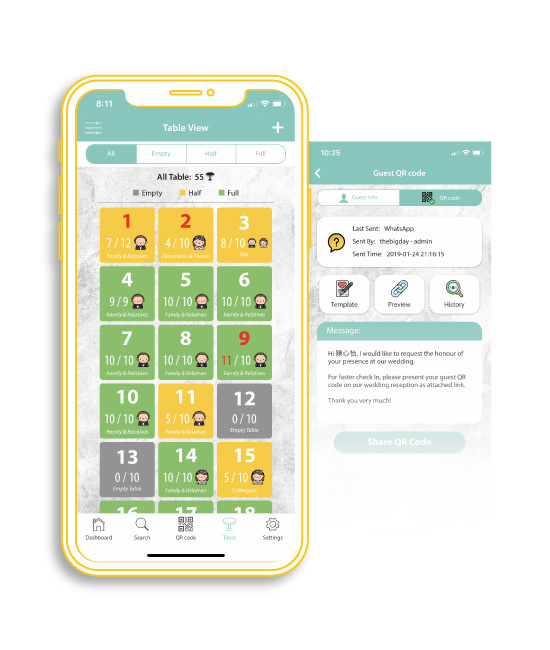 How to record collected Ang Pow in app? to guide you how to better manage your wedding guests. thebigday provides online knowledge base and tutorial videos to guide you how to better manage your wedding guests. How can I get my account login? thebigday Wedding Management App is a paid service, we will provide account login to you within 24 hours after we received your payment. Is this app user friendly? How much for wedding attendance app subscription? My wedding account can valid for how long? Account login will be expired 7 days after your wedding. But don’t worry, we will generate all the guest attendance data and Angpow amount into a report and email to you to keep as a record. 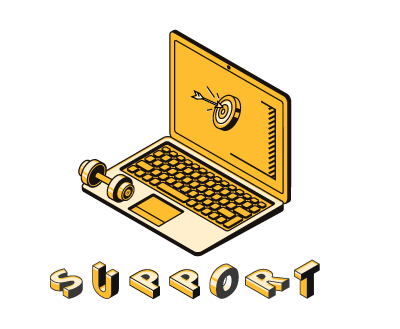 How many user login can i share? thebigday Wedding Management App support unlimited devices login to your wedding account. Is it only available on iPhone / Android? thebigday Wedding Management App support both AppStore and PlayStore download with minimum IOS 8 & Android 5 operating systems. What if I have 2 wedding events? Our wedding app service payment is charge per wedding event, you will need to sign up 1 more time for the other wedding event. Do u have free trial account? I’m prefer to use excel to prepare my wedding guest list, can I submit my guest list in one go? No worries, we will provide a excel guest list template for you to fill up with your guest information. Please revert back to us at least 7 days before wedding, we will help to import to your wedding account. Does it necessary to send all guest QR code? What if some of my guests are not familiar with QR code? 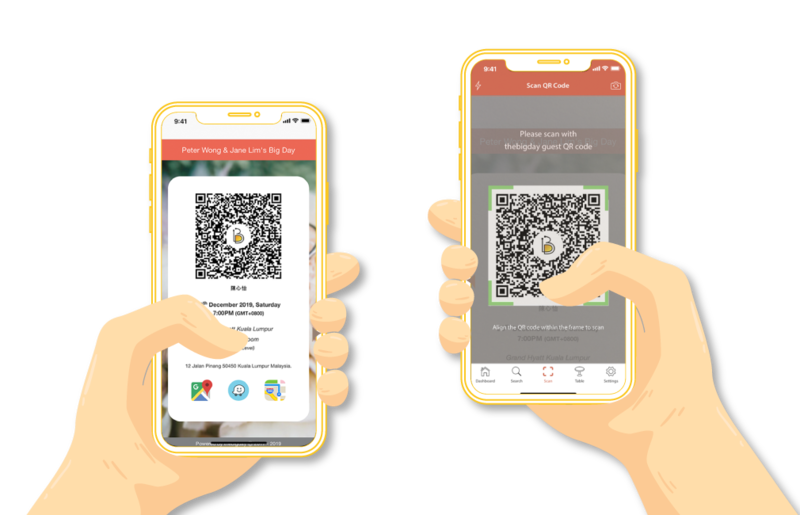 No worries, we encourage use guest QR code to speed up reception guest check-in, but you don’t need to send all guest QR code to every guest actually. You can skip this process for guests who are not familiar with QR code like elderly guest. Our smart search function work perfectly when you check in with guest name. Register Your Interest With thebigday!